Today marks the first 'follow a museum' day on Twitter. 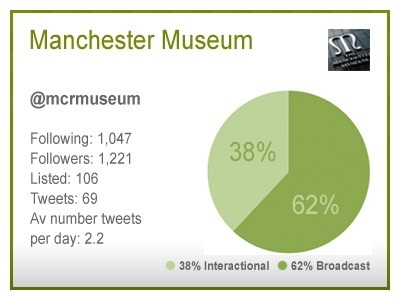 Created by Jim Richardson, the internet movement asks users to recommend various museums and education institutions to their followers via the social media site through the use of the #followamuseum hashtag. 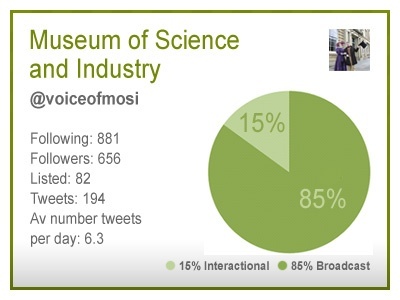 "Most museums on Twitter struggle to attract more then 500 followers. I started to think about how we can draw attention to the museums on Twitter, and get more people to consider following a museum." 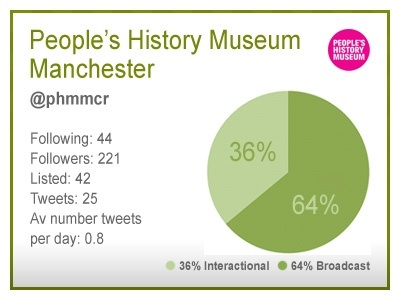 To commemorate the first follow a museum day, theEword's SEO copywriter Tom Mason analyses how four Manchester museums are using Twitter to market their institution. 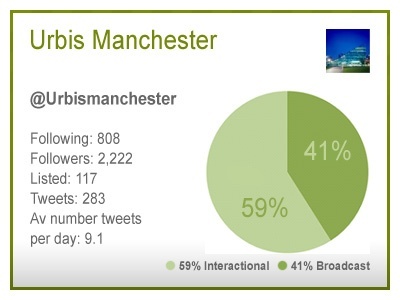 The following information was collated through Twitter Analyzer based on Twitter updates between the 1st and 31st January. Interactional tweets are classed as those which use the '@' function to converse with another user, while broadcast updates are those which only share information.